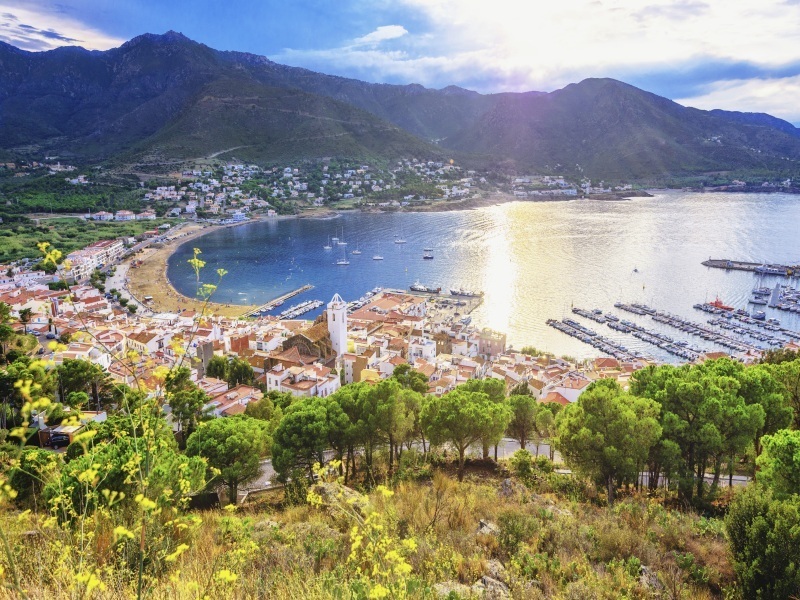 Mainly known in the UK for the beaches of the Costa Brava and Dorada, Catalonia is a region with an incredibly rich variety of landscapes. From your base on the coast there are a few local train lines which pass through unspoilt Catalan countryside, where pretty villages huddle around their church and wine cellar, unchanged by time. You use three of these lines to enjoy guided walks in the Priorat, Montblanc and the Prades Mountains. Walk 1: Coastal Walk from La Mora to Torredembarra. After a short coach transfer you start your walk near the medieval Mora watchtower. You cross the beach and the headland before reaching Tamarit and its castle. You head along the beach and then a short way inland, up the river, to explore the ‘witches’ village’ of Altafulla. The coastal area, the story goes, was plagued by pirates and smugglers: the word was put out that the upper part of the village was populated by witches, so as to discourage attack! You return to the wide beach and climb onto the headland to reach ‘Els Munts’, an impressive Roman villa (the word means a farmstead). Nearby there are other, rather less impressive, holiday ‘villas’. You descend into Torredembarra – the town has a pleasant old quarter and beach. Total so far 6 miles, 80m of climb/ descent. Nearby is a dune area, a haven for birds and of ecological importance: you will have time to explore it if you wish. You return to the hotel by train. Walk 2: The Foix Natural Park, and modernist l’Arboc. After a short transfer to the Foix Dam, you take a shady loop across the gentle hillside – there are excellent views of Castellet Castle. After exploring the village, you cross the Foix River and follow country lanes to the little modernist town of l’Arboc. The town has a copy of Seville’s landmark Giralda tower (a local 19th century couple honeymooned there, and built a copy when they came home!). Again, you return to Coma-Ruga by train. 5 miles, 150m climb/descent. Walk 3: Villages of the Alt Camp & the Cistercian Route. After a halfhour coach transfer to the unusual, modernist sanctuary at Monferri, you walk the country lane towards Brafim (socks and shoes off at the ford if the river is high, though there are stepping stones!) and the Sanctuary of Loreto (views). Further on, you reach Vila-Rodona, where there is a Roman Columbarium and shaded picnic tables by the river. You join the ‘Cistercian Route’ and continue alongside the River Gaia, once the limit of Moorish occupation, crossing and re-crossing the (normally gentle) river on rather narrow wooden footbridges, before reaching Santes Creus, one of the three great Catalan Monasteries, which you can visit. 9 miles, 70m climb/descent.